Anton’s Pasta Bar is a well-known Italian restaurant in North Burnaby on Hastings. 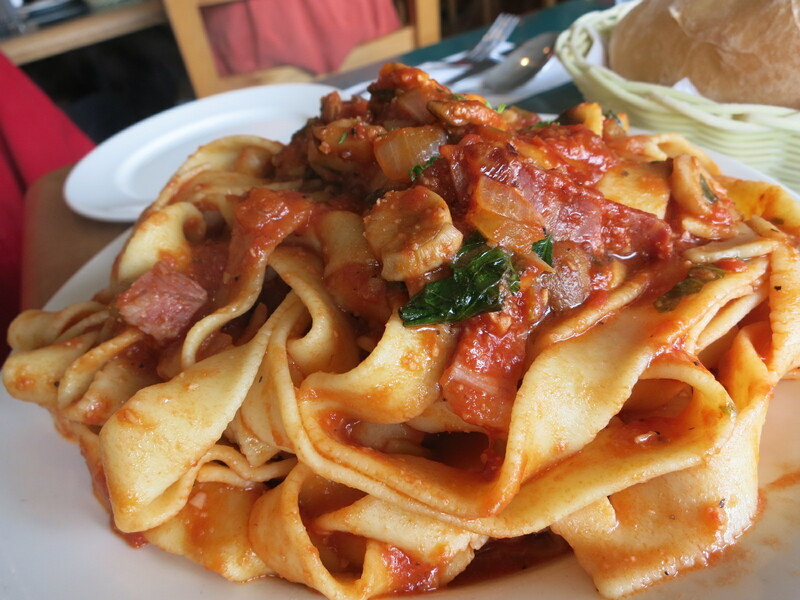 They have been around for years and they are famous for their ridiculously large portions of pasta. During lunch time they have smaller more manageable portions of the pasta. Italian pasta is actually one of my least favourite types of food, which I know is weird because I love all types of Asian noodles. I’m trying to change this and cultivate an appreciation for it by eating it more often. I came here with my friend before school for lunch because getting a pasta food coma before class is obviously a good idea. I ordered the fettuccine prosciutto e funghi, which is made with a white wine tomato sauce. The fettuccine noodles were thicker and fatter than most other times I’ve had them, but I actually liked them. They had a nice chewy texture and the thickness reminded me of flat rice noodles. The prosciutto and mushrooms were cut up into small pieces so you just got hints of flavour with every bite. The sauce was the best part of the dish. It had a mild and sweet flavour from the tomatoes with a hint of acidity from the white wine. I actually enjoyed this dish and managed to finish it, which is impressive for a non-pasta person! 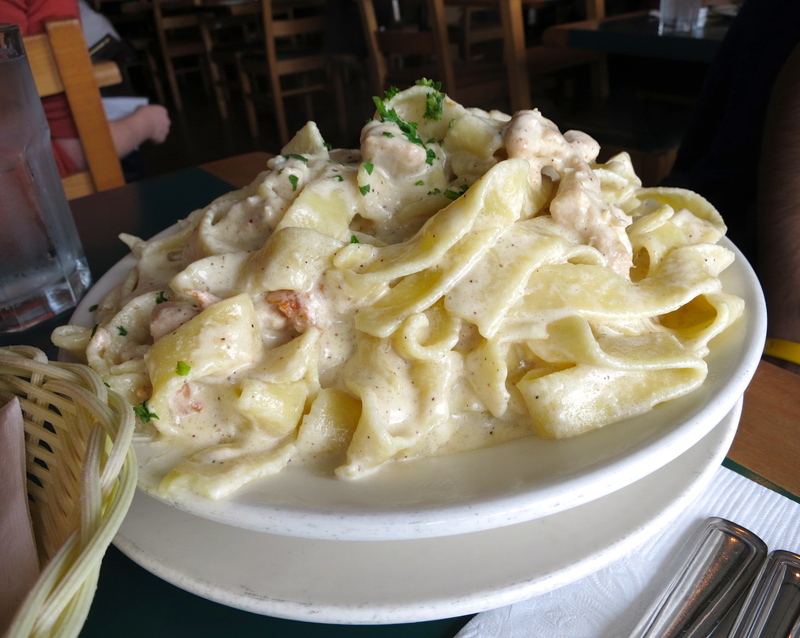 My friend ordered the fettuccine alfredo con pollo for lunch. I didn’t end up trying it because I’m not into alfredo sauce, but they seemed to enjoy it. Anton’s is a good place to come if you want to get stuffed full of food for a decent price. It is definitely not a fancy Italian food and not worth lining up out the door for, but I enjoyed my pasta and I would come back again for a cheap lunch. Yes, for cheap filling pasta.